If you have exported scenes from Storyboard Pro with the option Harmony Database, you will need to import the exported scene package into your Harmony Server database before you can start working in them. In the log-in dialog, log into your Storyboard Pro database using an account with high privileges. The main application window appears. 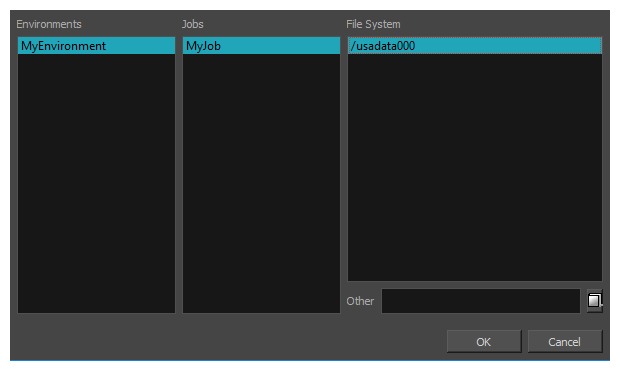 In the top menu, select Environment > Create . 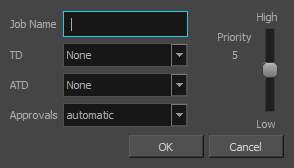 In the Create Environment dialog, type in the name for the environment in which you wish to import your scenes. An environment is often used to separate different series or projects, so you can name your environment accordingly. In the Environments list, select the environment you just created. In the top menu, select Jobs > Create. In the Job Name field, type in the name for the job in which you want to import your scenes. Jobs are often used to separate episodes in a series, so you can name your job accordingly. In the TD drop-down, select the user who should supervise the animation pipeline. 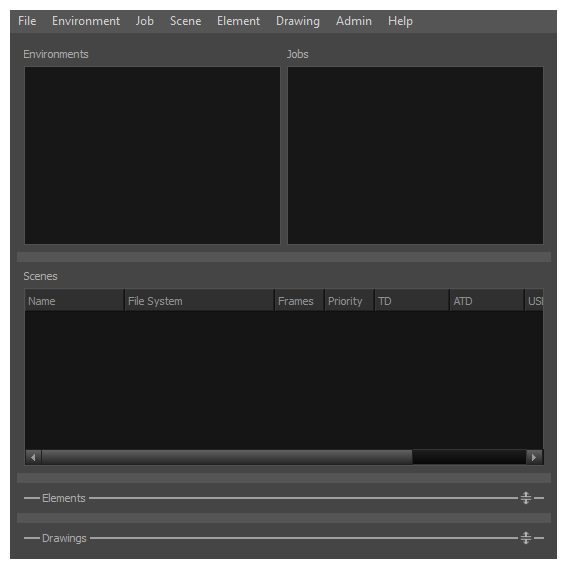 In the ATD drop-down, select the user who should assist in supervising the animation pipeline. In the Approvals field, select whether you want the approvals to be automatic or manual. Your new job is added to the Jobs list, as part of the jobs in your new environment. In the top menu, select Admin > Import. 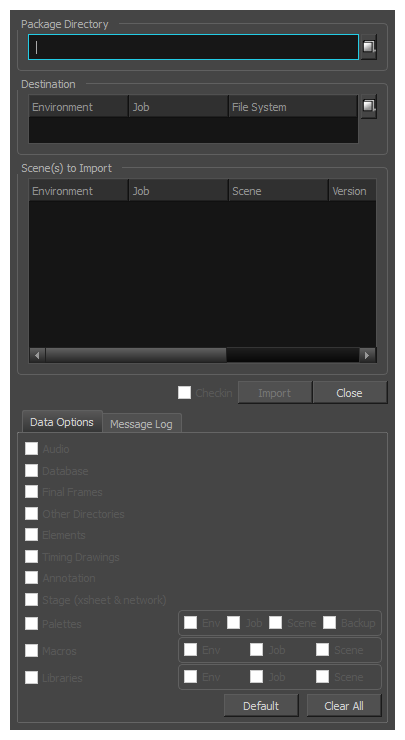 The Import Scene(s) dialog appears. Next to the Package Directory field, click on the Browse button. In the Open dialog, browse to and select the IEContent.dat file that was exported with your scenes package. Next to the Destination section, click on the Browse button. In the Environments list, select the environment you created for importing your scenes. In the Jobs list, select the job you created for importing your scenes. In the File System list, select the database file system where you want your scenes to be imported. By default, all the available options in the Data Options section will be checked. It is recommended to leave them all enabled so as to import all the assets and information exported by Storyboard Pro. Audio: Imports the sound files exported from your project's audio tracks into the Harmony scenes. Database: Imports the metadata exported with the scenes for use by Control Center. Elements: Imports the drawing files exported with the scenes. Stage (xsheet & network): Imports the structure of the scene: Its drawing layers, composites, write nodes and the exposure of each drawing. The imported scenes will be available in the job in which they were imported.